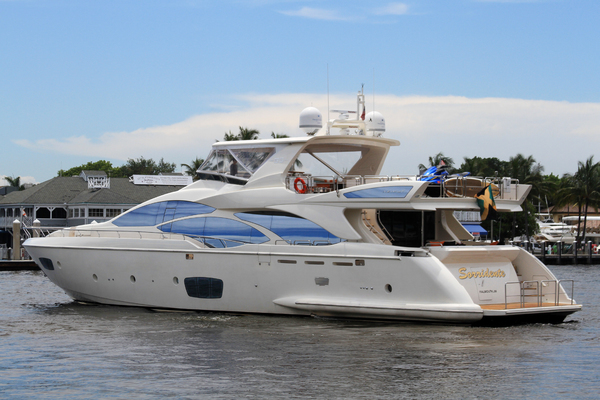 ThisMotor Yacht,is an excellent example of the classic Broward motor yacht with her spacious layout and accommodations for seven guests plus three in crew. Beautifully appointed interior includes a large main salonand dining area, wet bar area, with thefamily styled“country kitchen” galley, a perfect choice for entertaining. Lower deck accommodations include two guest staterooms and a generous master suite with “his and hers” en suite bathrooms and Jacuzzi tub aft, and ample crew quarters forward. 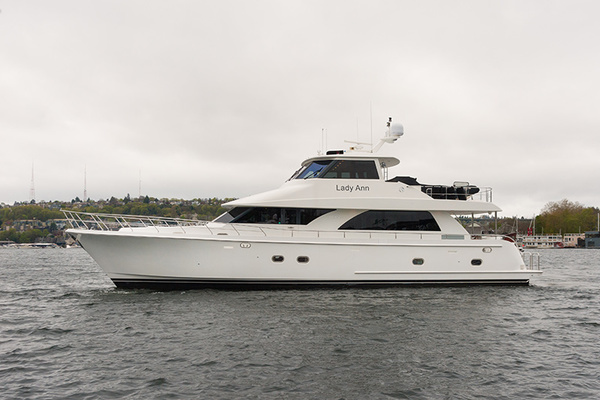 Features both raised pilothouse and flybridge helm stations, and outdoor entertaining areas including serving table, seating, wet bar and gas grill on the flybridge, and seating on the aft deck with easy entry to the swim platform. This Yacht has recently gone thru extensive Mechanical and comedic restoration, SEE LIST BELOW New fuel flow monitoring system, new generator batteries, new main engine batteries, new 5 ton air conditioner and new 3 ton air conditioner systems, new compressor pumps on port and starboard, new naiad stabilizer seals installed , new fresh water pump system Portside, new macerator pump and motor, One new power transformer port side power, 35KW generator service with new hoses and belts and alternator, starboard generator inspected and serviced and new electronic monitoring system installed, water maker rebuilt and new membranes installed, new airseps installed on port and starboard engines, seven new smart TVs with DirecTV in motion system, new Garmin 16 in Garmin GPS system for navigation and electronics for lower station, new Fusion stereo system tied into your Garmin system and Sirius Radio and new Garmin VHF coupled to 12 inch GPS xsv navigation and electronic system, XM Weather, GPS system coupled to autopilot with remote on Bridge, totally updated Electronics panel clean and simplified on Bridge, two freezers on top deck for extended travel and food storage, new ice maker and the refrigerator in wet bar on Bridge, new gas grill replaced Electric, all lighting through yacht replaced with LED soft-lite, all new mirrors replaced in heads, one new bunk bed installed in guest stateroom to sleep 3, fresh none skid on all decks, new wind and glare shield on bridge, These are only a few of the new and upgraded items, the yacht has also had the shaft couplings replaced with new dripless bearings system port and starboard, The yacht has just been hauled and props inspected and balanced along with the bottom being prepped and two coats of high grade bottom paint completed along with prop speed coating installed on the props, shafts and bow trustor, we also had a complete bottom survey with ultrasound completed to save potential buyers additional costs. there has been a countless amount of work done on the equipment which was already installed to make it reliable and perform properly. MOTAVATED SELLER, $100,000 PRICE REDUCTION Seller will Consider Trades: Smaller Yacht, Aircraft, Property. United Yacht Sales New Jersey would love to guide you through a personal showing of this 85' Broward Raised Pilot House 1989. 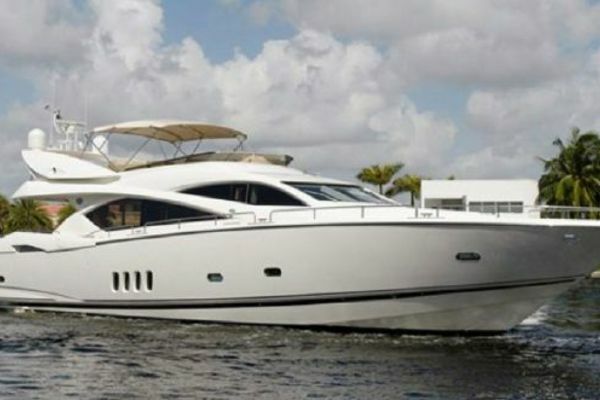 This yacht for sale is located in Tampa, Florida and priced at $685,000. For a showing please contact us by filling out the form on this page and we will get back to you shortly! Guest Stateroom - The Guest Stateroom is aft of the master to starboard. It features twin berths; one bunk bed sleeps total of 3, alsochest of drawers, a large hanging locker and an ensuite head and shower.